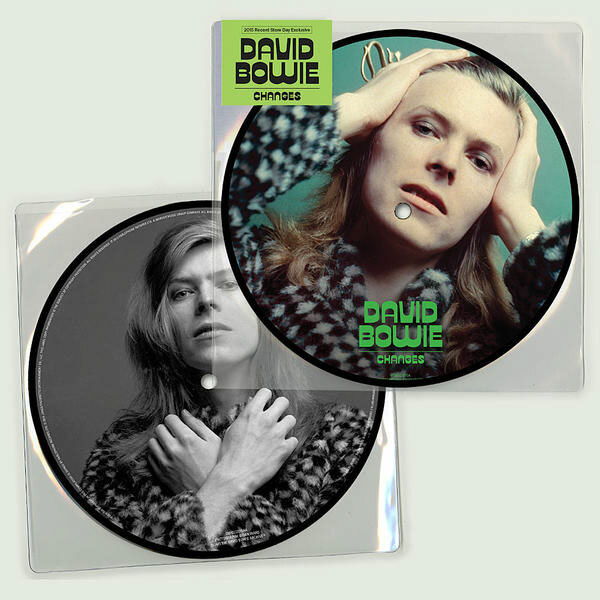 davidbowie.com have announced details of the next DAVID BOWIE 40th Anniversary 7 inch vinyl picture disc. Scheduled for release via Parlophone on Friday 24th July is 'Fame', co-written with John Lennon and guitarist Carlos Alomar. A-Side: Fame (Original single edit). Produced by: David Bowie and Harry Maslin. Produced and mixed by: Tony Visconti and Harry Maslin. The alternate mix of 'Right' was previously released by Ryko/EMI in 1991, however, due to a mastering error it was released at the wrong speed. For this release that issue has been rectified. As you can see, the A-side features a shot by Andrew Kent of David performing on Soul Train US TV, and the AA-side is a Tom Kelley outtake. 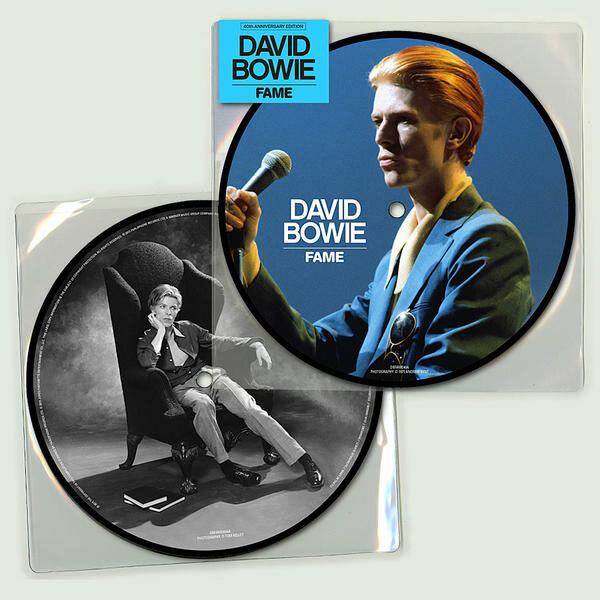 You can pre-order Fame (40th Anniversary) 7 Inch Picture Disc Vinyl NOW. DAVID IN AT NUMBER ONE! 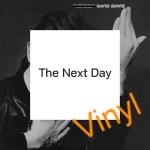 After this weekend's RSD 2015 DAVID BOWIE has hit the number one spot in the UK Official Vinyl Singles Chart. As you can see, 'Changes' is listed at #1, with 'Kingdom Come' placed at #4. 01. David Bowie - 'Changes'. 02. Noel Gallagher's High Flying Birds - 'In The Heat Of The Moment'. 03. Foo Fighters - 'Songs From The Laundry Room'. 04. David Bowie/Tom Verlaine - 'Kingdom Come'. 05. Johnny Marr - 'I Feel You'. 06. Florence and The Machine - 'What Kind Of Man'. 07. Courtney Barnett - 'Kim's Caravan'. 08. Jimi Hendrix - 'Purple Haze'. 09. Chvrches - 'Get Away'. 10. Mumford and Sons - 'Believe'. The album 'David Bowie: 1966' has entered the UK vinyl album charts at #5 and the 'Nothing Has Changed' compilation album has re-entered. You can check out the Top 40 via officialcharts.com website. 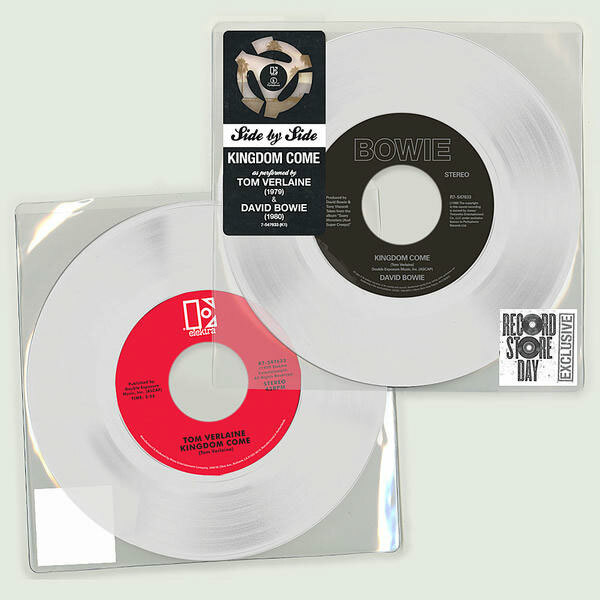 According to the official site there are 15,000 copies pressed up for each of the 7" singles - CHANGES and KINGDOM COME so they should be easy to get hold of at reasonable prices. It seems the DAVID BOWIE 1966 white vinyl album is the one with limited numbers. A-side: Changes (Cat. No. DBRSD2015A). (David Bowie). Produced by Ken Scott and David Bowie. AA-side: Eight Line Poem (Gem Promo Version). (Cat. No. DBRSD2015AA). Also, released for RSD 2015 is a Side by Side clear/white vinyl 7" disc via Parlophone/Elektra. A-side: Kingdom Come - Tom Verlaine (1979). Produced by Michael Ewasko and Tom Verlaine. AA-side: Kingdom Come - David Bowie (1980). 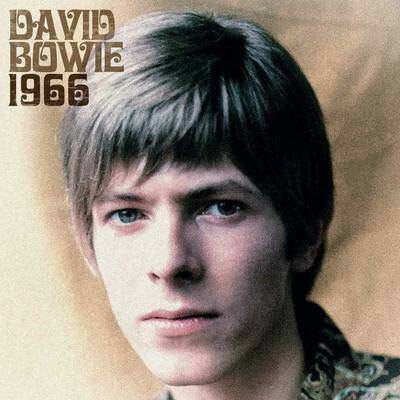 DAVID BOWIE 1966 (2015 remaster) via BMG/Sanctuary. EP limited to only 2,000 copies in coloured white vinyl. 1. I'm Not Losing Sleep. 3. Can't Help Thinking About Me. 4. Do Anything You Say. 6. And I Say to Myself. Note: David Bowie 1966 (2015 remaster) (Cat. No. BMGRM 047) was released on 13th April (not connected with RSD). Another David Bowie related release for RSD 2015 is St. Paul and the Broken Bones - Live from the Alabama Theater 12" (Alabama shaped vinyl 12" Picture Disc featuring live cover of David Bowie's 'Moonage Daydream' - 2,000 copies) SRP: $11.98. Looking online there are several sellers doing Changes and Side By Side: Kingdom Come or if you prefer, check out the eBay listings to see if you can pick up a bargain. If you haven't already seen these online... UNSTOPPABLE CARDS have produced THE MAN WHO FELL TO EARTH trading cards. There are TWO DAVID BOWIE cards signed in 2013, limited to 50 of each. Rather than detailing all the different combination info here, you would be wise to the FIRST read the article on the official DB site where you can receive an exclusive 20% discount promo code. If you want another perspective of what the trading cards look like - check out Ian's posting on the BW Message Board to view his binder. Personally, I've been picking up some individual cards via eBay listings then at least you knowing what you're getting. Other musicians who were asked include: Henry Rollins, Raine Maida, Frank Turner, Serena Ryder, Thom Green, Martha Wainwright, Joel Gibb and Meeno Versteeg. You can read the whole article over at the postcity.com website. 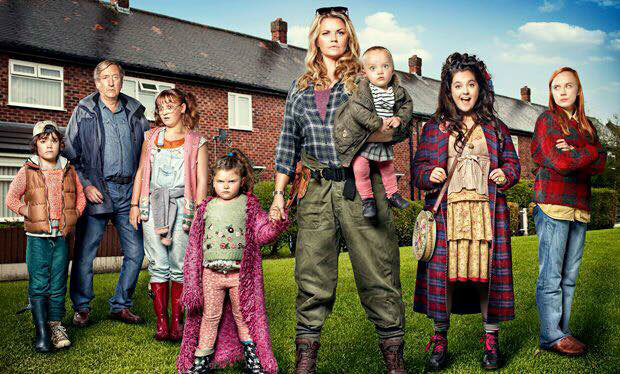 If like me you're hooked on the rather brilliant CHANNEL 4 TV show RAISED BY WOLVES, written by sisters CAITLIN and CAROLINE MORAN, you are bound to have heard Grampy namedropping DAVID BOWIE. "...I was full of sorrow. I wandered the Warstones Estate like a lost soul, the way Bowie did when he went to Berlin." If you've never seen the show before, I encourage you to set aside a couple of hours and watch from episode one. He told them that DAVID BOWIE has written a number of new "classics" about love and violence for his forthcoming musical stage show LAZARUS. "Some of the songs sound as if you have heard them for ever - like classics." He said preparations for Lazarus were already "far advanced" and described the new Bowie material as "really great stuff". "There are romantic songs - because his songs are deeply romantic - and there are songs about violence and the ugly world surrounding us. That's what these new songs are about." Lazarus will also feature re-arrangements of Bowie's old songs. "He told me he is going to give his songs a new skin." You can read the whole interview over at bbc.co.uk website. The play is all set to open in December 2015 at the New Theater Workshop in NYC. LAZARUS Director IVO VAN HOVE appeared on Dutch TV 'The Wereld Draait Door' yesterday, saying there are three new songs written and DAVID BOWIE told him the fourth one will be ready in the next week. Also Ivo reads the first lines of the script. Thanks to Bernie for the heads up. THE NEW YORK TIMES report that DAVID BOWIE is co-writing a new stage work based on The Man Who Fell To Earth. NEW YORK THEATER WORKSHOP told NYT blog writer Michael Paulson, that David would collaborate with Irish playwright ENDA WALSH in writing a new piece entitled: 'LAZARUS'. The play will feature NEW songs by David Bowie, as well as new arrangements of older songs. The new play will focus on the story of alien Thomas Jerome Newton, who David portrayed in the movie back in 1976. David won't be on stage, nor this is his first theatrical venture - in the early 1980s, he spent three months playing the title role in 'The Elephant Man' on Broadway. 'Lazarus' will be directed by IVO VAN HOVE, an avant-garde Belgian director who has a long relationship with New York Theater Workshop and used David Bowie's music in a Dutch-language production of 'Angels In America' that ran last year at the Brooklyn Academy of Music. James C. Nicola, the artistic director of New York Theater Workshop, said he was not sure how to describe the project - whether even to call it a musical - and said it been in secret development for some years. He said David had been seeking to do a theatrical work inspired by Walter Tevis's 1963 novel 'The Man Who Fell To Earth', and brought the idea to Mr. van Hove, who in turn brought the project to Mr. Walsh and to the New York theater. "It's going to be a play with characters and songs - I'm calling it music theater, but I don't really know what it's going to be like, I just have incredible trust in their creative vision," Mr. Nicola said. "I'm really excited about it. These are three very different sensibilities to be colliding." Mr. Nicola said that the show, which is scheduled to open late this year, would not retell the story of the book and film, but would feature some of the same characters. It is with much pleasure and great excitement that we can confirm the Winter 2015 New York production of LAZARUS by David Bowie and Enda Walsh. LAZARUS is inspired by the 1963 novel, The Man Who Fell To Earth by Walter Tevis, and centres on the character of Thomas Jerome Newton, famously portrayed by Bowie in the 1976 screen adaptation directed by Nicolas Roeg. LAZARUS features songs specially composed by Bowie for this production as well as new arrangements of previously recorded songs. Broadway World David Bowie, Enda Walsh Co-Writing Stage Work Based on MAN WHO FELL TO EARTH - [Read here]. Hollywood Reporter: David Bowie's 'Lazarus' to Rise on NY Stage - [Read here]. BBC News: David Bowie writes new songs for New York stage show - [Read here]. MOJO: David Bowie Writing Songs For Man Who Fell To Earth Play - [Read here]. Update on the DAVID BOWIE releases for RECORD STORE DAY 2015 this month. On 18th April a special collectors limited edition 7" picture disc of CHANGES gets the go ahead via Parlophone. As you can see, both sides of the disc feature shots of David by Brian Ward from the Hunky Dory photo session, with one being previously unseen. There are several sellers taking online pre-orders for Changes and Side By Side: Kingdom Come - be quick! The latest added to the RSD2015 list is a re-release of DAVID BOWIE 1966 (2015 remaster) via BMG/Sanctuary. EP limited to only 2,000 copies in coloured white vinyl. Note: David Bowie 1966 (2015 remaster) (Cat. No. BMGRM 047) is also being released on 13th April (not connected with RSD). Check out recordstoreday.com website to find your nearest participating stores. Update: Another David Bowie related release for RSD 2015 is St. Paul and the Broken Bones - Live from the Alabama Theater 12" (Alabama shaped vinyl 12" Picture Disc featuring live cover of David Bowie's 'Moonage Daydream' - 2,000 copies) SRP: $11.98. Update: On Saturday (9th), CLIFFORD SLAPPER will be giving a presentation of his book 'Bowie's Piano Man: The Life of Mike Garson', on the schedule for late afternoon. This presentation will give you a greater insight into Mike Garson's work with David Bowie over the decades. Clifford will also be staying on after his talk to chat and sign copies of his book (hardback, signed, £20 each, cash only). 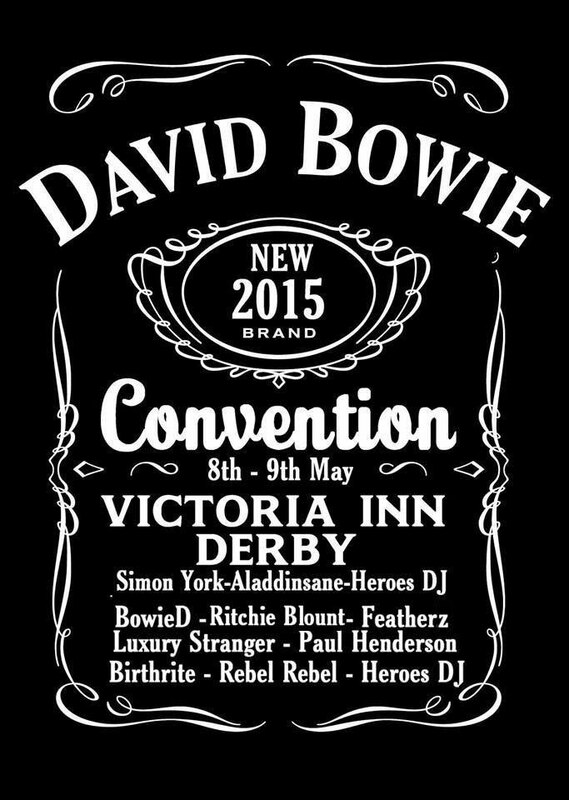 Tickets are on sale for the DAVID BOWIE 2015 UK Convention in Derby, which takes place next month. 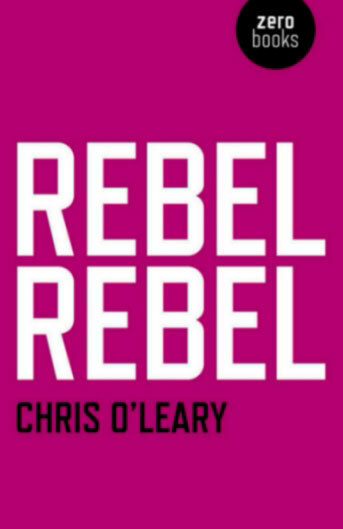 Just published on 27th March is the brand new 574-page book entitled REBEL REBEL by Chris O'Leary via Zero Books. Synopsis: DAVID BOWIE: every single song. Everything you want to know, everything you didn't know. David Bowie remains mysterious and unknowable, despite 45 years of recording and performing. His legacy is roughly 600 songs, which range from psychedelia to glam rock to Philadelphia soul, from avant-garde instrumentals to global pop anthems. Rebel Rebel catalogues Bowie's songs from 1964 to 1976, examines them in the order of their composition and recording, and digs into what makes them work. Rebel Rebel is an in-depth look at Bowie's early singles and album tracks, unreleased demos, session outtakes and cover songs. The book traces Bowie's literary, film and musical influences and the evolution of his songwriting. It also shows how Bowie exploited studio innovations, and the roles of his producers and supporting musicians, especially major collaborators like Brian Eno, Iggy Pop and Mick Ronson. This book places Bowie's music in the context of its era. Readers will discover the links between Kubrick's 2001 and 'Space Oddity'; how A Clockwork Orange inspired 'Suffragette City'. The pages are a trip through Bowie's various lives as a young man in Swinging London, a Tibetan Buddhist, a disillusioned hippie, a rock god, and a Hollywood recluse. With a cast of thousands, including John Lennon, William S. Burroughs, Andy Warhol and Cher. About the Author: Chris O'Leary is a writer and editor, and author of the music blog 'Pushing Ahead of the Dame'. You can purchase Rebel Rebel NOW.